When Ruth Nott arrived as director of education at the San Francisco Opera in 2008, her charge was to breathe new life into the company’s education programs—to come up with a strategic, quantifiable plan that truly served, and was relevant to, the SFO’s community. Her first order of business was to ask the components of that community what they needed. 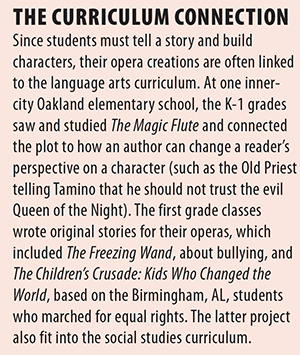 “Teachers wanted to learn more about opera through professional development,” she says, “but they also wanted opportunities for their students to connect with the professionals who make opera happen.” Teachers also suggested that students could learn more about the art form by creating their own operas. These, along with other “wish-list” suggestions from district arts coordinators, became the basic ingredients for the ARIA (Arts Resources in Action) Network, now in 12 schools, 66 classrooms, and five school districts. The program has a waiting list, and garners high praise for its connections to the curriculum. 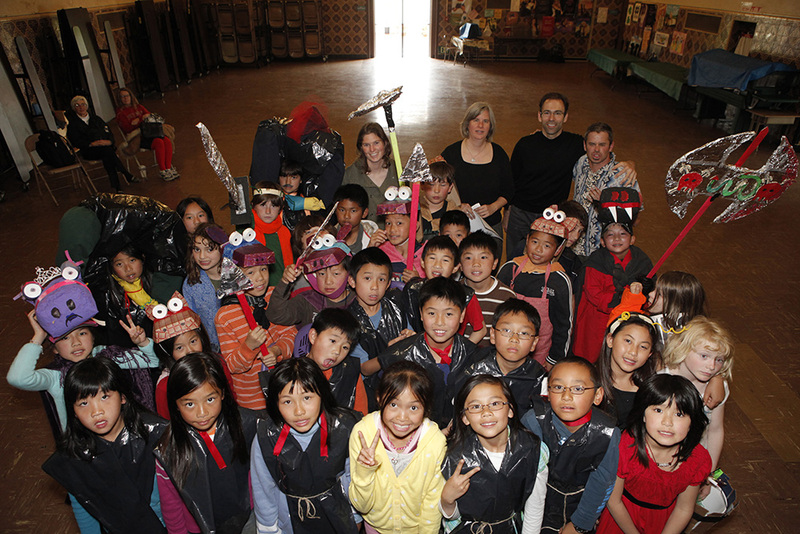 The company’s young artists—Adler Fellows--and the children’s chorus are also resources. ARIA Network classes may have as many as 40 visits from opera professionals over the course of the school year, providing not only instruction, but first-hand contact for students with the people who make the art form. 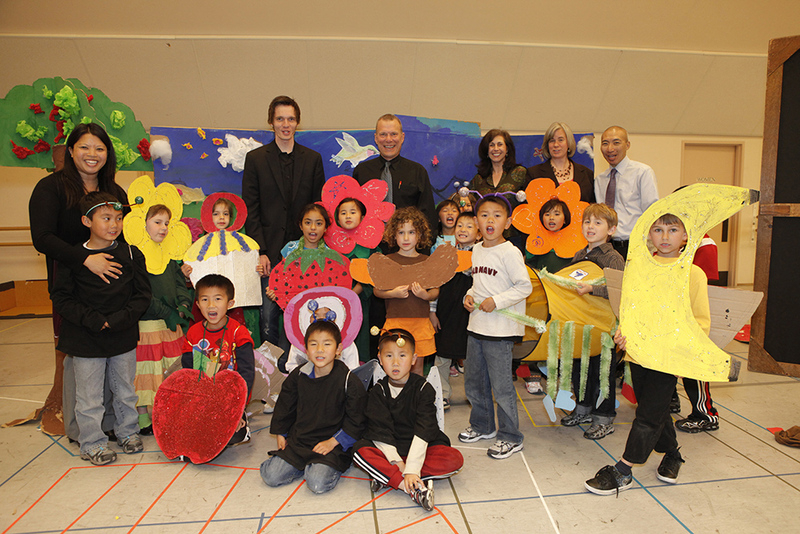 Each school project is developed individually by teachers in collaboration with teaching artists. The teachers determine the shape of the project and connect it to their curriculum, whether in language arts, social studies, science, or math. Schools are deeply concerned about meeting academic standards as codified in the federal government’s Common Core (which mandates a certain achievement level at the end of each grade). 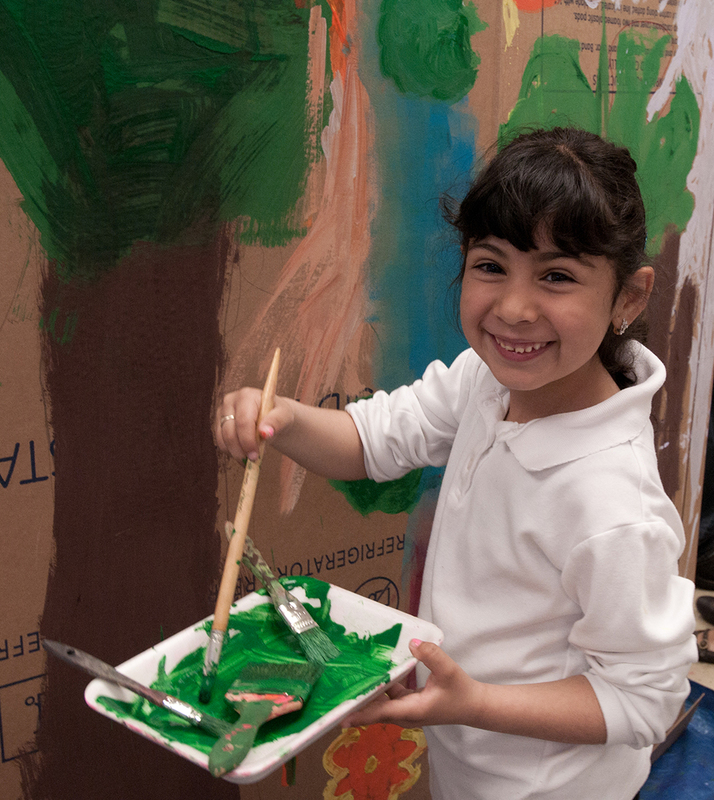 So K-12 arts programs that have close ties to the curriculum, and that give teachers the tools to meaningfully integrate that program with academics, have a higher chance of being adopted. “We have more schools applying for the program than we can accommodate, because principals see that it is helping them meet the Common Core standards,” Nott says, as well as broadening students’ knowledge of the arts. An Aria Network project in one school, in four or five classes, for a full year, costs SFO about $20,000. The school pays $1500 at the most; supplement funding is available by need, and most of the schools receive some scholarship monies.